The birthday of Hanuman is celebrated on full moon day of the Chaitra month of Hindu calendar. This day is also called as Chaitra Poornima. 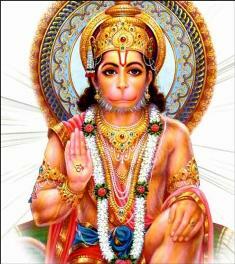 This year Hanuman Jayanthi is celebrated on Thursday, 25th April, 2013. During Hanuman Jayanti all the devotees visit the temple of Lord Hanuman. Devotees would worship Lord Hanuman and offer him Appalu (A sweet made from rice flour and jaggery) as Naivedyam. Reciting of Hanuman Chalisa for 108 times is advised during Hanuman Jayanti. Even reciting the name of Lord Sri Rama would immensely please Lord Hanuman. Offering of Red Shoe flower to Lord Hanuman is considered to be auspicious. Star. Is it correct? Why ? 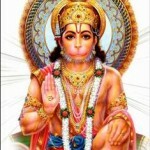 This festival called Hanuman Jayanti and we will worship in Hanuman Temple and also Home Temple. This day is very spacial day for Hinduisum. Why hanuman jayanti has been celebrated on 2 june 2013 in some mandirs?